Funny and emotional and with heart, soul and character aplenty, Short Term 12 was the breakout hit of the South by Southwest (SXSW) festival, where it won both the Grand Jury Prize and the Audience Award. The film went on to open to critical acclaim, Empire magazine calling it 'One of the biggest surprises of the year' and Rolling Stone magazine 'an exceptional film that in every way breaks the mold'. Told through the eyes of Grace (Brie Larson – 21 Jump Street; Scott Pilgrim vs. The World; Don Jon), a twenty-something supervisor at a foster-care facility for at-risk teenagers, Short Term 12 is written and directed by Destin Cretton. Passionate and tough, Grace is a formidable caretaker of the kids in her charge, and in love with her long-term boyfriend and co-worker, Mason (John Gallagher Jr – The Newsroom). But Grace's own difficult past, and the surprising future that suddenly presents itself, throw her into unforeseen confusion, made all the sharper with the arrival of a new intake at the facility: a gifted but troubled teenage girl with whom Grace has a charged connection. Brie Larson has been singled out for her remarkable central performance – said Little White Lies of her: "Brie Larson announces herself with a where-the-heck-did-that-come-from performance that's already seen her mentioned in the same breath as Elizabeth Olsen and Jennifer Lawrence." 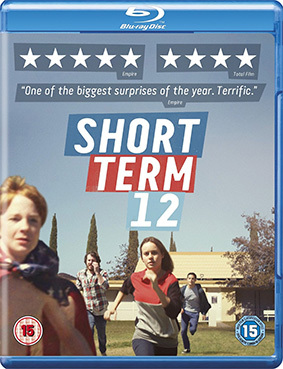 Short Term 12 will be released on Blu-ray and DVD on 10th March 2014 by Verve Pictures at the RRP of of £19.99 for the Blu-ray and £15.99 for the DVD.